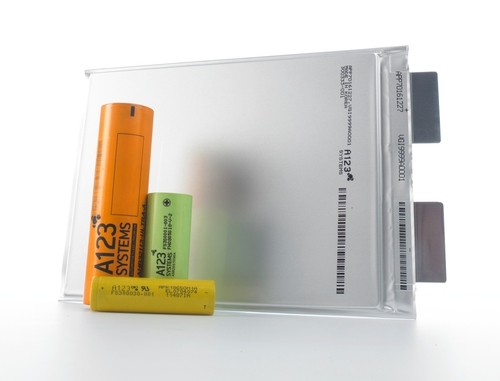 The Wanxiang Group has won a tussle in the A123 Systems bankruptcy, gaining the role providing of debtor-in-possession financing, leaving open the question of whose hands A123's lithium battery technology will end up in. Beleaguered lithium-ion battery maker A123 Systems filed for bankruptcy two weeks ago, following a year-long saga of troubles. Last week a flurry of filings were made with the bankruptcy court as multiple companies jockey for position to take ownership of A123's technology and assets. Yesterday, Andy Chu posted on A123's The Pulse blog an update about their chapter 11 bankruptcy proceedings, hoping to clear up confusion regarding the debtor-in-possession financing arrangements. The question in A123's bankruptcy is what effect will this have on various electric vehicle makers, like Fisker and GM, who depend on A123 Systems for batteries. Two weeks ago, along with filing for chapter 11 bankruptcy, Chu explains that A123 Systems gained "access to up to $15.5 million from Johnson Controls in interim debtor-in-possession financing." That DIP financing was to tide the company over until permanent DIP financing was arranged. Chu says that three different permanent DIP financing facilities were proposed, and that last weekend A123 Systems reached an agreement with Wanxiang. Under terms of the permanent DIP agreement, Wanxiang intends to provide A123 with $50 million of DIP financing, to provide A123 with money to continue operating the business, working with customers and suppliers. A123 Systems will seek approval of this arrangement in bankruptcy court on Monday November 5, with court schedules having been impacted by Hurricane Sandy. The DIP financing will allow A123 Systems to continue making and selling battery packs in the short- to medium- time frame. What's not clear is where the technology will end up over the long-term. The role of Johnson Controls in this is little changed from previously announced. On October 16, Johnson Controls and A123 signed a "stalking horse asset purchase agreement" by which JCI intends to acquire A123's automotive battery business. JCI has agreed to extend the temporary DIP financing until the November 5 hearing. JCI has also stated an intention to acquire A123's business of selling batteries for government purposes. That agreement seemed to negate the agreement with Wanxiang, a large Chinese autoparts maker. The thought of A123's technology ending up in the hands of a Chinese-owned business created a stir of understandable controversy. The agreement with JCI is seen to be a way to keep that technology in the hands of an American-owned business. But Wanxiang has said it still wants to purchase a chunk of A123's assets. Fisker Automotive, a large customer of A123 Systems, is also seeking to delay the bankruptcy arguing the current process will not get the highest value for the company's assets. "We are concerned that back-and-forth posturing by other interested parties may lead to confusion and anxiety for A123's employees and customers, and thus destroy underlying value in the estate," said Alex Molinaroli, president, Johnson Controls Power Solutions. "We have agreed to step aside as the DIP funder in order to keep the process moving and allow it to conclude in the most efficient manner possible. We want to reassure employees, customers, and other stakeholders that Johnson Controls remains committed to our acquisition of A123, which will keep a source of critical jobs, intellectual property, and advanced battery technology in the United States." Chu claims that "being the DIP provider does not give Wanxiang or any other party control over or leverage with A123's court-supervised sale process."